Petr Cech is expected to return in goal this afternoon against Watford at Stamford Bridge with Mitchell Beeney on the bench as Chelsea have injury concerns with Thibaut Courtois after the defeat at Tottenham. According to reports, Courtois suffered the injury (some say a possible broken finger - some say not) during the game on New Years Day and he is being given extended time off to aid his recovery. For those at White Hart Lane on Thursday would have seen Petr Cech out on the pitch warming up at half time as it looked as though the Belgian would need to come off. 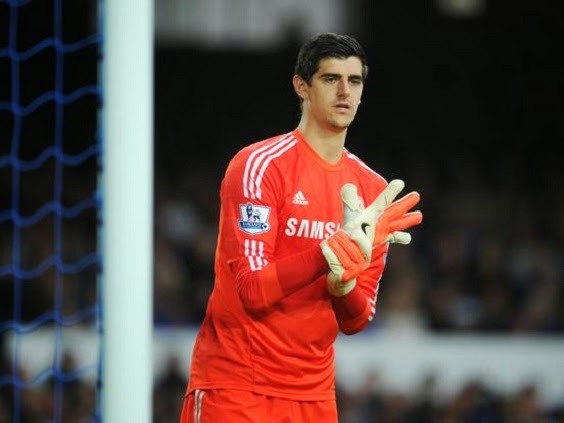 However, Courtois stated that he was OK to continue and he did so. We have heard nothing from Chelsea on the possible injury concerns they have but in saying that, Cech was always going to start this game ahead of him as Jose will use the game to rotate his squad and give players that have featured in most of the games during the busy period a rest. In addition, we are also reading that Chelsea have allowed Mark Schwarzer to move to Leicester in the last 24 hours and you have to question them doing so if the injury to Courtois was really that bad. We do not play again until Newcastle at the Bridge next weekend. Let's hope that's enough time for Thibaut Courtois to recover!